SYNOPSIS: Tony's just out of jail. His mates think he's got the money and now they want it. Tony just wants to find Anna. He deals with one thing at a time. This is a road movie and a trip. 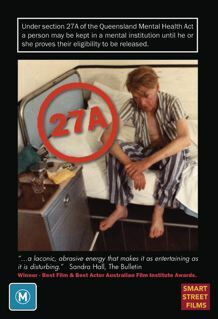 A great piece of work from writer/director Esben Storm. A very unusual film to come out of Australia. An intelligent multi layered storyline, great performances from a strong cast and top music from AC/DC, Rose Tattoo, Allan Stivell, and John Martyn. Performers: Richard Moir, Judy Morris, Chris Haywood, Bill Hunter. Awards Winner best original script A.F.I.Awards. 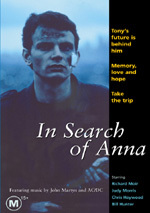 Richard Moir - "In Search Of Anna"